With exquisite timing – or not – two new fast ferry services are announced to bypass Dover-Calais, as it emerges the Calais migrant crisis and MyFerryLink strike are actually boosting business for existing operators. Also, a film of Classic Marathon – up through ‘largely tourist free’ southern Italy – hits TV screens tonight. Masses of Germans fall foul of the new rules on Austria’s motorway vignette. Despite the first quiet week in a while, ministers are still seriously considering shutting the Chunnel at night. The Spanish government makes a formal complaint over the French farmer blocks. Tough times for start-up ferry firms but bumper business for established operators despite migrant crisis and strike. The Nova Star, secured by Euroferries to serve Ramsgate-Boulogne. Photo Euroferries. Thanet District Council has issued a strongly worded statement denying there are plans to start a ferry service from Ramsgate to Boulogne. It comes in response to an announcement last week from Euroferries saying it would start the service on 1 November. 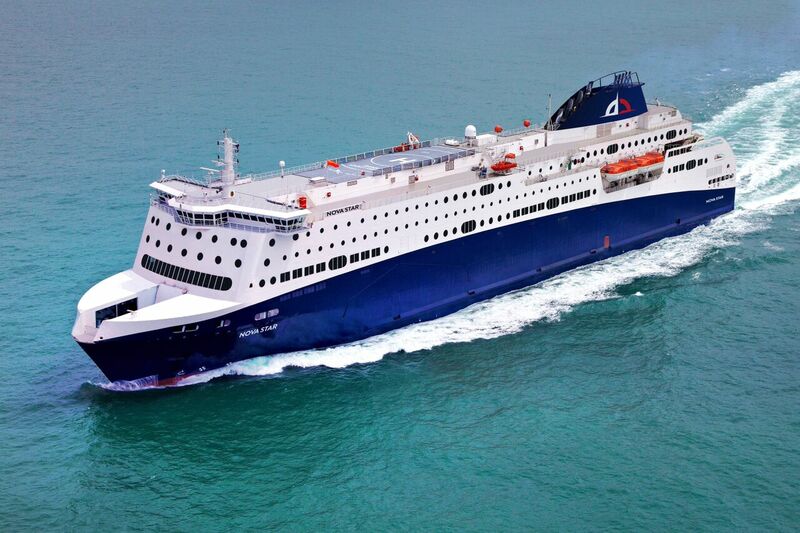 Euroferries also said it had secured the use of the Nova Star ferry from Nova Star Cruises in Canada, an arrangement confirmed by local press. However, a statement from Thanet calls the press release from Euroferries ‘both inaccurate and misleading’ and denied there was any agreement in place. It also details unsuccessful dealings with a Euroferries predecessor company stretching back to 2009. Since then, one of the Euroferries’ directors told the Thanet Gazette that due to ‘uncertainties’ it had decided to transfer the port base to Boulogne. The council is reportedly also in discussions with another ‘credible’ ferry operator following talks at industry show Multimodal in Birmingham in May. Also last week, HighSpeedFerries said it was still on course to launch a service from Weymouth to Cherbourg. The service surfaced in February with an expected start date this autumn. That has now been put back until April 2016. It claims to save ‘huge’ time for drivers between western England and western France compared to Dover-Calais. ‘We continue to work hard and will make an announcement when the time is right,’ the firm told the Dorset Echo in an article which also included positive comments from Weymouth Borough Council. Meanwhile, it seems established operators are benefiting from the on-going troubles in Calais. Condor Ferries said this week that bookings for July had increased by 6.2% compared to the same month last year. The number of passengers using Stena Line’s Harwich to Hook of Holland service are also the highest in five years ‘partly because of migrant crisis in Calais’ reports BBC Essex. Brittany Ferries has seen twenty percent more passengers in Plymouth due to the Calais migrant crisis says Heart News. But the short crossing operators are apparently doing well too. A leaked internal P&O memo seen by the Evening Standard says the Dover-Calais route carried 123,000 freight units in July, ‘the best month in its modern history’. The 1.04m passengers it carried last month made it the busiest July in the past 11 years. Meanwhile, Eurotunnel’s record passenger and vehicle numbers have continued, despite regular long delays and service interruptions due to overnight ‘migrant actions’ and striker blockades outside the terminal. It carried almost a quarter of a million cars, buses and trucks in July. The number of vehicles carried from the UK to France grew by 8% compared to the same month last year, it said. Haulage industry trade bodies reacted angrily earlier this week to news that P&O and DFDS will both increase rates on the Dover-Calais route, according to a report in Commercial Motor. The film of @HERO_CRA ’s Classic Marathon up through southern Italy is on TV tonight at 20:00 (on MotorsTV, SkyUK 447, Virgin Media 545 and Freeview 71). The route started from Lecce, in a region described as ‘largely tourist free’, in the spring. See more on the route and region here, and more amazing photos here. 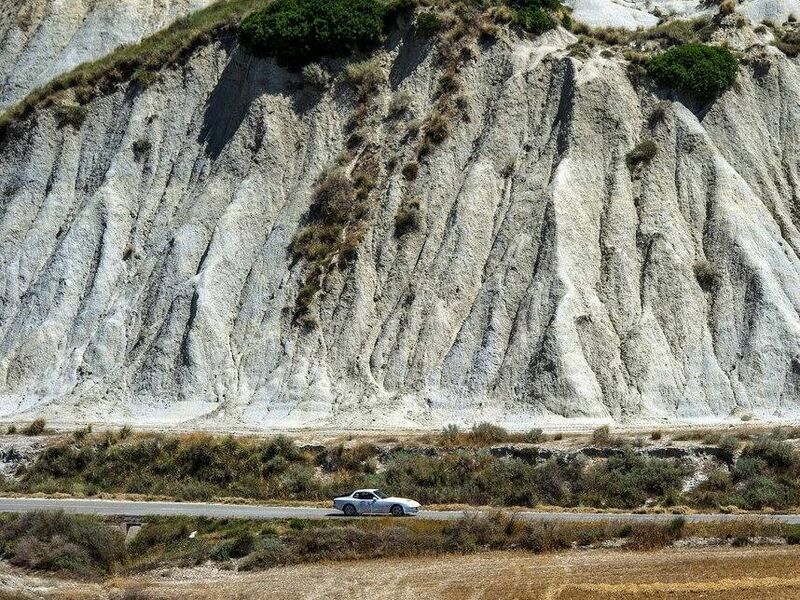 Intriguingly, in a discussion this week about the future of Porsche’s iconic circular Nardo test track, also in southern Italy, on the western side of the heel, Chairman of the Executive Board Francesco Nobile said, ‘Routes outside of the grounds also offer a plethora of excellent driving opportunities.’ Also check out the late Lord McAlpine’s nearby B&B. Lecce is 1340 miles from Calais. roundup: AUSTRIA. It might seem a fairly lame way to engage users – who cares what colour the annual motorway vignette is? – but actually almost 100,000 drivers voted in the online poll to pick turkis (tourquoise) for the 2017 toll sticker. It edged out red 50.28:49.72. Next year’s will be mandarin orange announced ASFINAG at the same time. Meanwhile, of the 160,000 drivers fined €120 last year for not buying the vignette, 64,000 were German it emerged earlier this month. The exemptions for short stretches of cross-border motorway were removed at the end of 2013. Even those that did buy it fell foul of the requirement to attach it permanently to the windscreen. CALAIS CRISIS. Despite a week without the M20 freight queue Operation Stack, and three nights without migrant activity – for the first time in many weeks – the ‘nuclear option’ of closing Eurotunnel overnight is still on the table says the Telegraph. Eurotunnel said today it would be obliged to claim compensation to the tune of €200m per year if the tunnel closed overnight. Apparently it has already ‘voluntarily’ reduced the number of overnight services. This all comes after a migrant walked through the tunnel on Tuesday before being arrested at the UK end. FRANCE FARMERS. The Farmer protests have certainly scaled down in the past week apart from a highly disruptive go-slow block on the A48 at Grenoble on Wednesday, plus blocks on the A63 and A64 in the south west. The Spanish government has made a formal complaint today according to AFP, accusing protestors of acting with ‘impunity’ and saying the attacks are ‘multiplying’. On Tuesday, meat was taken from a Spanish truck near Toulouse and distributed at a zoo near Toulouse.